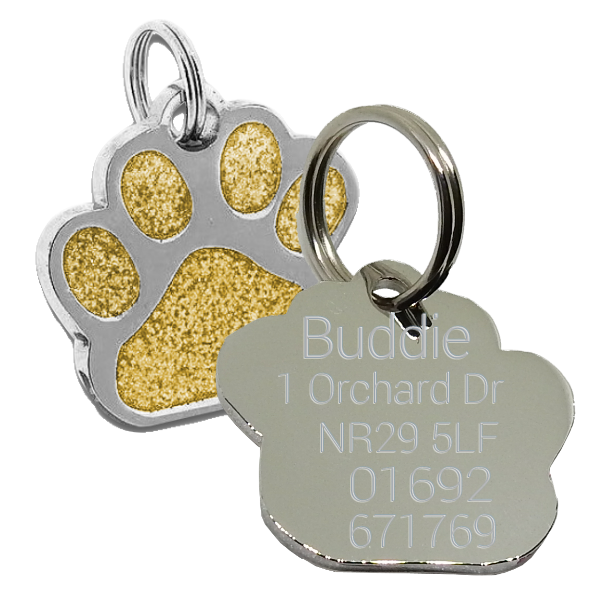 Gold Glitter Paw Print Shape Pet id Tags with a Hard wearing Chrome Plate applied to them. The front of the tag is protected with a hard wearing resin coating. These Tags can be engraved on the back only due to the design on the front. We can fit 5 Lines of text on these to keep the details readable. Each Tag will come with a split ring for fixing.